Now in its 31st year, the world-famous Sanctuary Cove International Boat Show is set to be a sell-out. Dream Yacht Charter has secured our spot on the Marina on Pier E, come and have a chat with us on the stand and see the exciting new developments for 2019. As the Bali Catamaran Sales agents for Bali Catamarans we are excited to introduce the new Bali 4.1 model into the Australian market. The Bali 4.1 has been refined to be even more spacious and practical with features such as a full-sized fridge, clever storage solutions and a fully open living space. To celebrate her debut we are offering a Charter on the Bali 4.1 in the Whitsundays, come and have a personal tour of the boat and enter the Competition to win. Read more about the Bali 4.1 in the Multihull Magazine article. After her introduction at the Sanctuary Cove International Boat Show the Bali 4.1 will join the Whitsunday Charter Fleet. For anyone wanting to become a Charter Boat Owner, the Bali 4.1 will also be available for purchase as part of our Ownership program – an exciting opportunity for any sailing enthusiast. Speak to us if you are interested in a private purchase of a Bali Catamaran. We strive to bring exciting experiences to skilled and amateur sailors. By being a key innovator in the industry we’ve consistently bought new sailing grounds to market including New Caledonia and Cuba. We’re continually evolving our bareboat fleet and you can enjoy the diversity of +1,000 yachts with an unrivalled range of manufacturers and models. We’ve handpicked +50 exciting destinations that offer some of the world’s finest sailing across the Caribbean, Bahamas, Mediterranean, Indian Ocean, Pacific, Asia and the Americas. Here in the Whitsundays we have a fleet of monohulls, catamarans and powerboats and 74 impressive islands to explore. We offer Bareboat and Skippered Charter and if you want a real holiday to remember and total relaxation we can offer a hostess to cook for you. Our company was built by marine professionals and continues to grow with a team that understands the marine sector and who are passionate about making the world’s waters accessible to all. It’s an exciting time for us and this year we are expanding with new bases, new by the cabin routes and new crewed boats to share with you. The dream keeps getting bigger and we’ve just opened new bases in New York, Belize, Madagascar and Mykonos in Greece. We’ve launched new by the cabin cruises in Guadeloupe, Bahamas, the Maldives, Seychelles and Tahiti. We’ve added new, luxurious crewed boats to our fleet in the Caribbean. There’s so much more yet to be announced! For those looking for adventure, we’ve introduced long term charters with Dream Yacht Sabbatical, which comes with a turnkey solution of pre-voyage training and voyage virtual support. We’ve also expanded our Dream Boat Club membership across Europe and the US. We are building exciting new interactive websites for Dream Yacht Charter and Dream Yacht Sales, which will enhance and simplify the experience of selecting a charter and buying a boat. Our friendly and professional team is always on hand to answer any questions and be a helpful guide through the process of how it all works. A lack of sailing qualifications is not a barrier to going on a sailing vacation. We offer bareboat yacht charters, where you sail the boat yourself, or, if you can’t sail, are not confident or want to completely relax, we can provide skippers to sail for you. For those seeking a high quality, luxurious vacation, our crewed yacht charters are personalized to the preferences of you and your guests, offering an attentive yet discrete five-star service. Our expert crew is experienced in hospitality and have extensive local knowledge. They’ll work with you to design a tailored itinerary and menu to ensure your vacation is everything you could wish for. With our by the cabin charter’s you can reserve a double cabin in +15 exotic locations on our catamarans with up to six cabins available on each. These guaranteed departure organized mini cruises allow you to relax and take in the destination highlights, while our crew sails the yacht, manages the itinerary and serves you delicious on-board meals. Apart from offering 50+ locations to cruise in, and a diverse choice of boats and sailing holidays, Dream Yacht Charter offers unique Ownership Programs. With Dream Yacht Sales you can own a luxury yacht outright or choose from our range of charter management options so you can become an owner in one of many exotic locations, and experience the excitement of sailing some of the best cruising grounds in the world. With Dream Yacht Charter you have more choices, options and flexibility to own a yacht without the expense and challenges of traditional ownership. 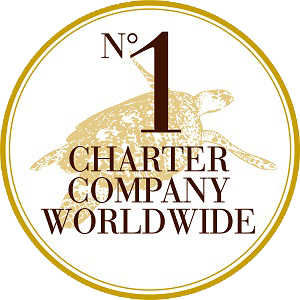 We are the only charter management company that offers individually designed charter management programs. These programs include pre-approved financing, guaranteed monthly payments or performance-based income. Besides, you may be eligible for substantial tax benefits. 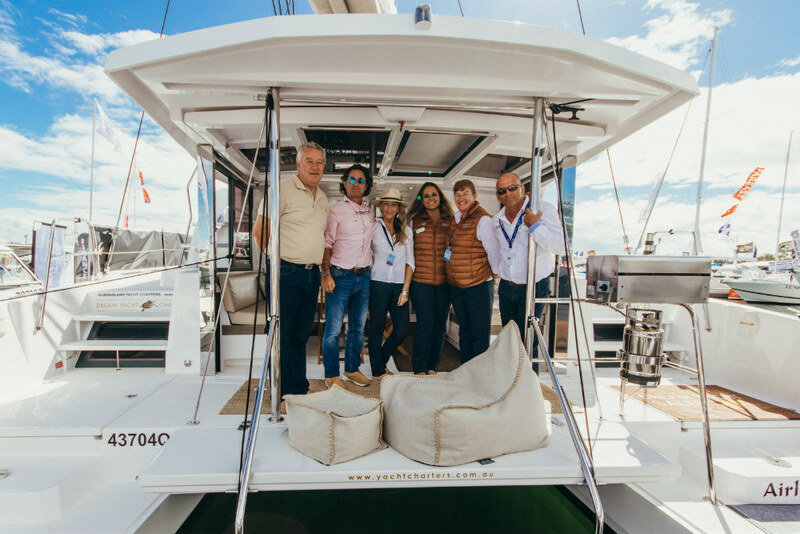 Our team at Dream Yacht Sales can help you make an informed decision and plan your exit strategy for maximum resale value of your yacht, through our Dream Yacht Brokerage network. Choose from eight major manufacturers, including Fountaine Pajot, Lagoon, Beneteau, Jeanneau, Bavaria, Nautitech, Neel and the Bali Catamarans, which are built by Catana group in France in any of our 50+ locations worldwide. With the benefits of reciprocal owner use, customised layouts, specifications and interiors, whether you are in the market for a sail, power or crewed yacht, we have the most choices for your dream yacht. Of course, every purchase includes personal attention from the leading owner-operated charter company in the world. Whether you want to enjoy a sailing vacation or own a yacht, we’re here for you throughout each step, from providing quotes to stepping on board and listening to your feedback. We look forward to sailing with you. With just over a month to go, and reports of a sell-out show this year , you don’t want to be left behind. As well as over 300 exhibitors and 500 boats on display, there will also be thousands of the latest marine products to browse, a kids area, live entertainment and a range of restaurants and bars to visit. Secure your SCIBS tickets today .